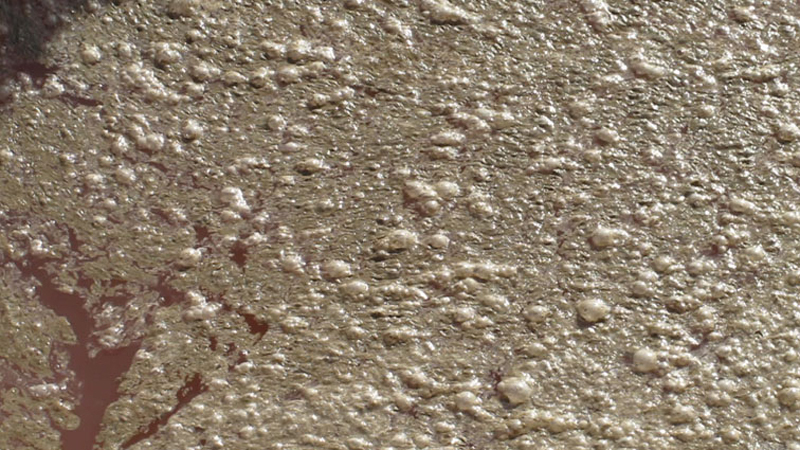 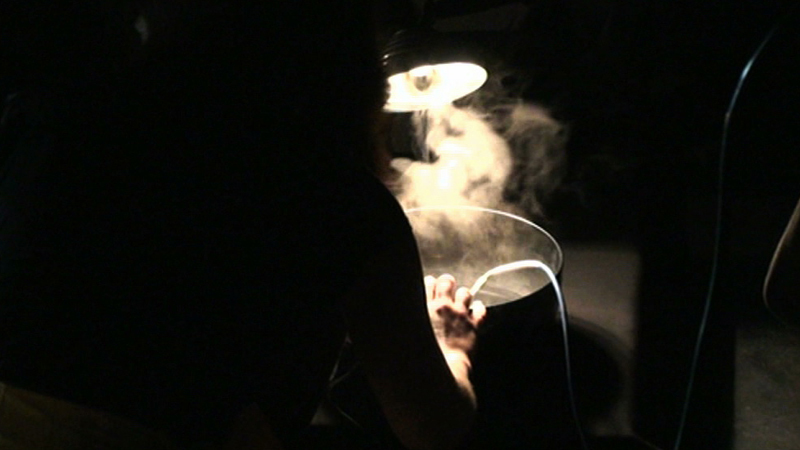 The Objectifiers is a collaboration between Rita Evans and Julia Mariscal, the performances are based on their shared interest in the history and narratives of materials and how materials transform and evolve from one state into another. 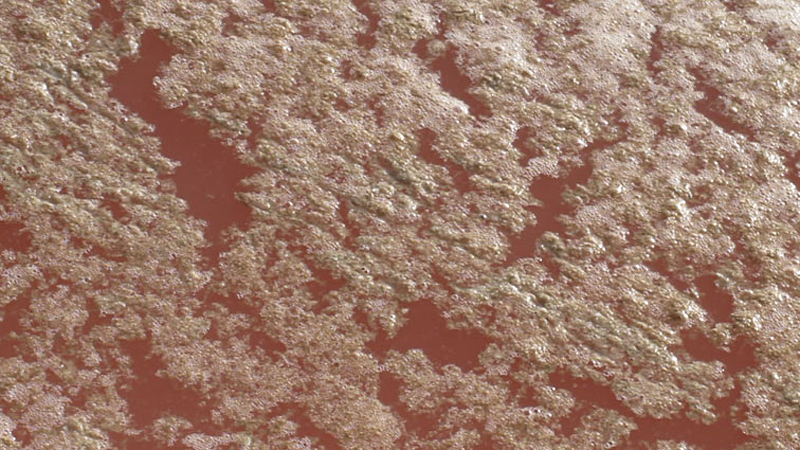 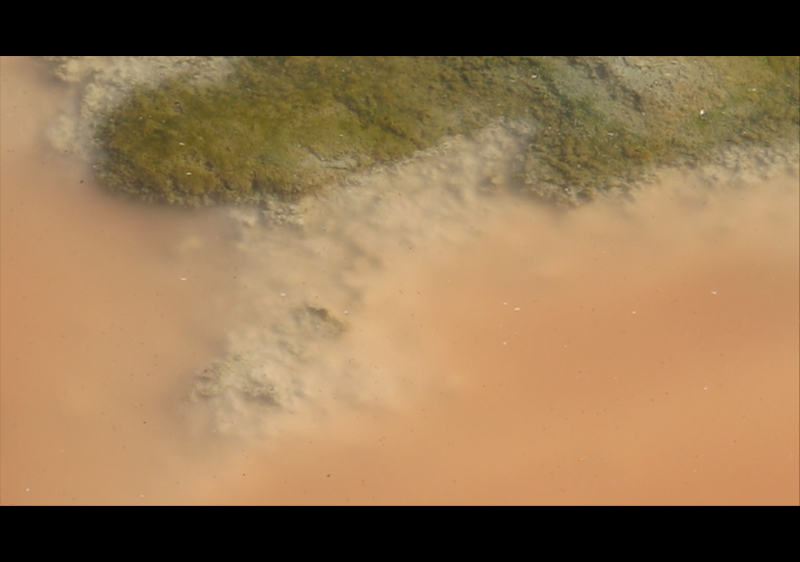 When looking for sites to work on they found the concept of material transformation in the salt factory, where each pool of the manufacturing process changed the colour and density of the water. 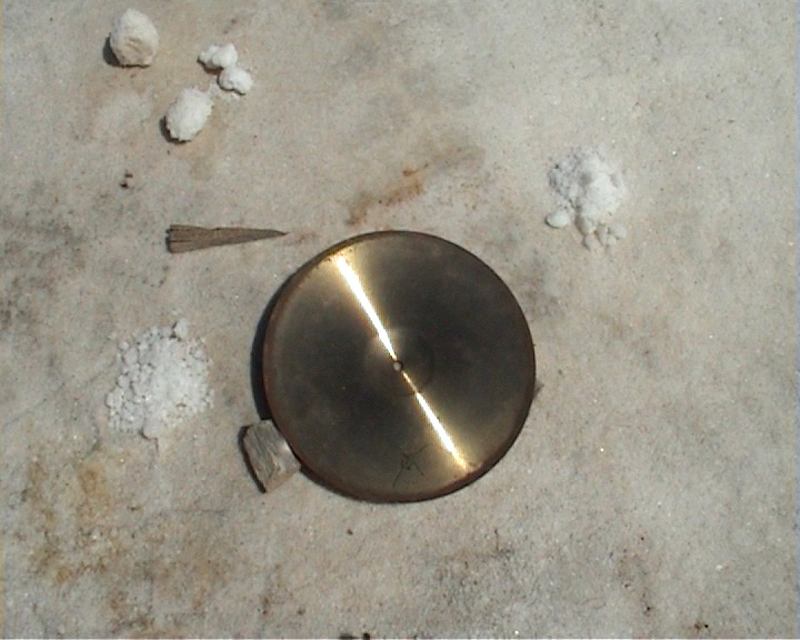 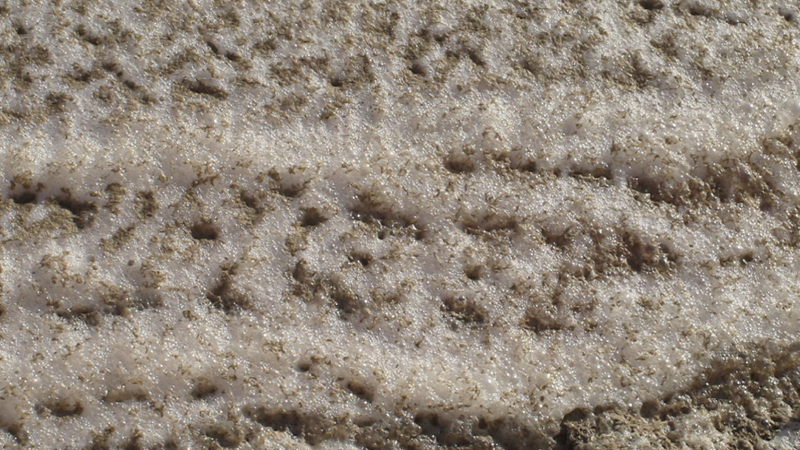 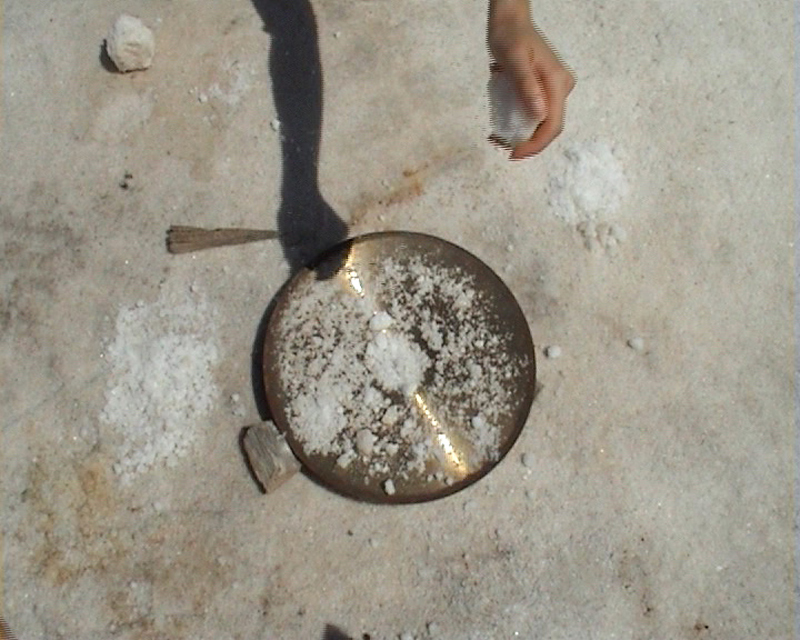 ‘Salt Factory Colour Clock’ (2012) is part of a series of video, sound recordings and performances made on site at Ses Salines, Mallorca. 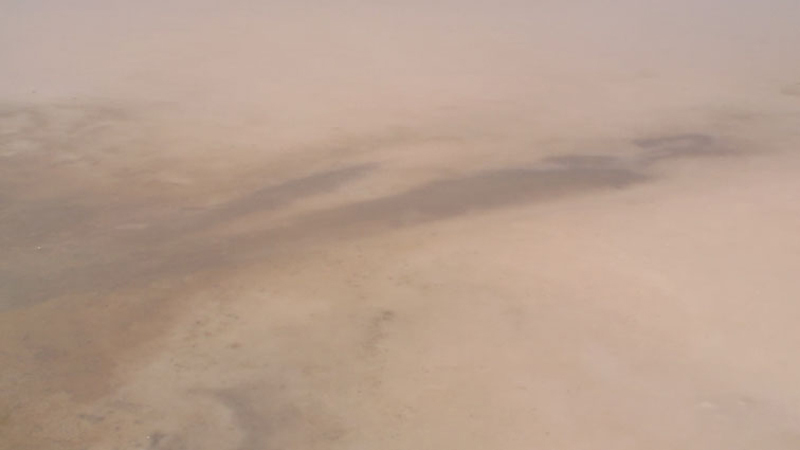 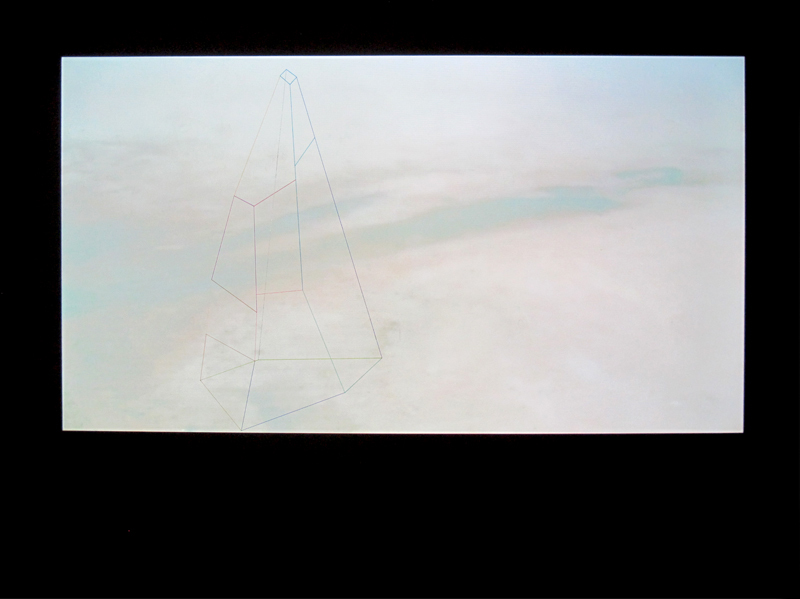 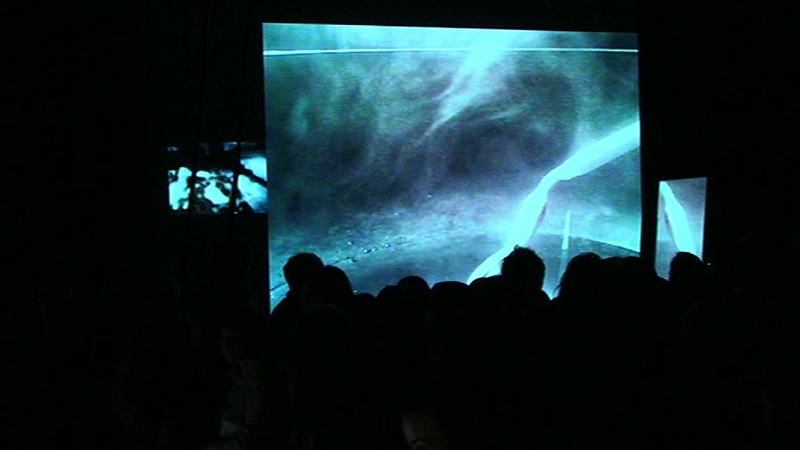 The video installation is a wall drawing of a diagram of chemical charge in salt production and a HD video projection overlaying of each salt pool in a salt factory projected on top of drawing. 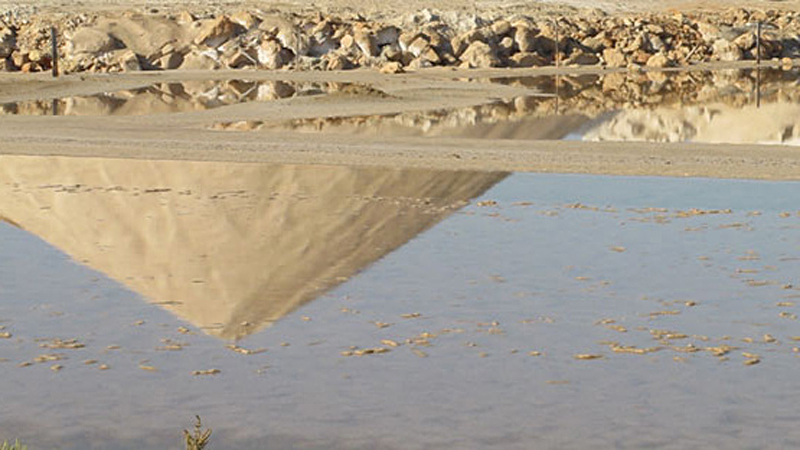 Salt Factory – in Mallorca, Spain. 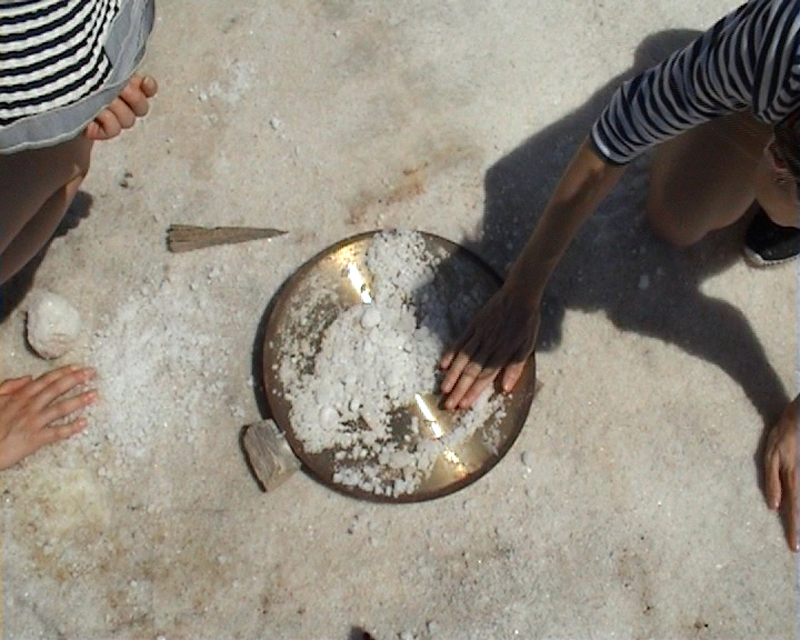 Following the performance ‘SALT’ (2011) -a conversation using the resonances caused by mineral salt on cymbals, the artists meet at a Salt Factory in Mallorca. 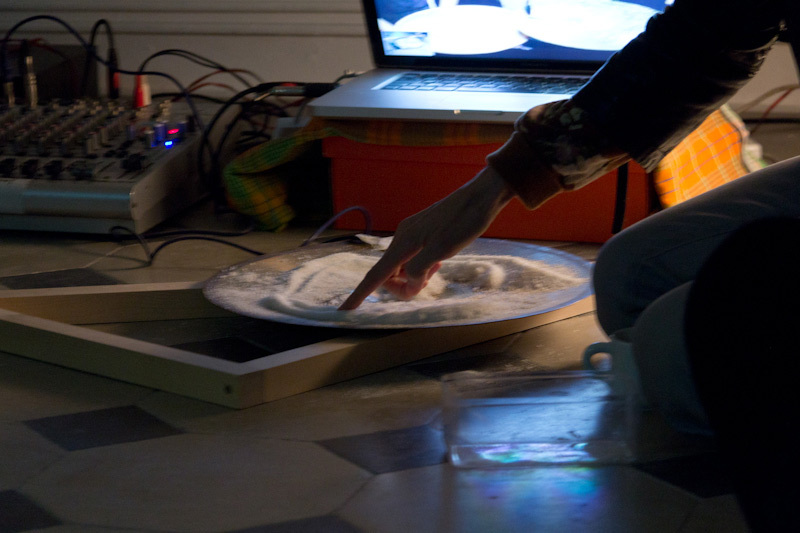 To collect material as part of an archive they are building between London and Barcelona, mapping the histories and exchange of salt. 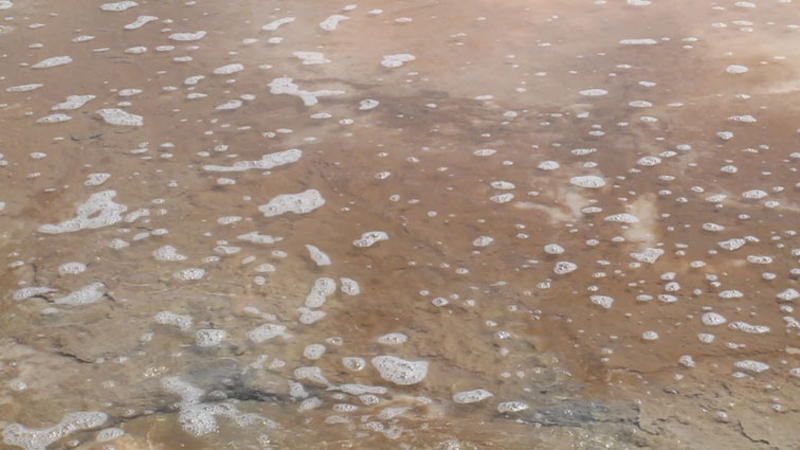 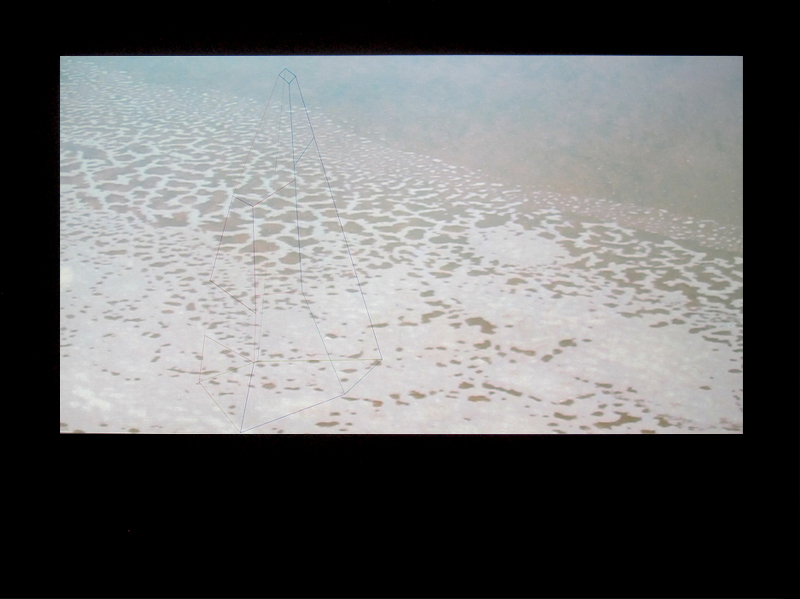 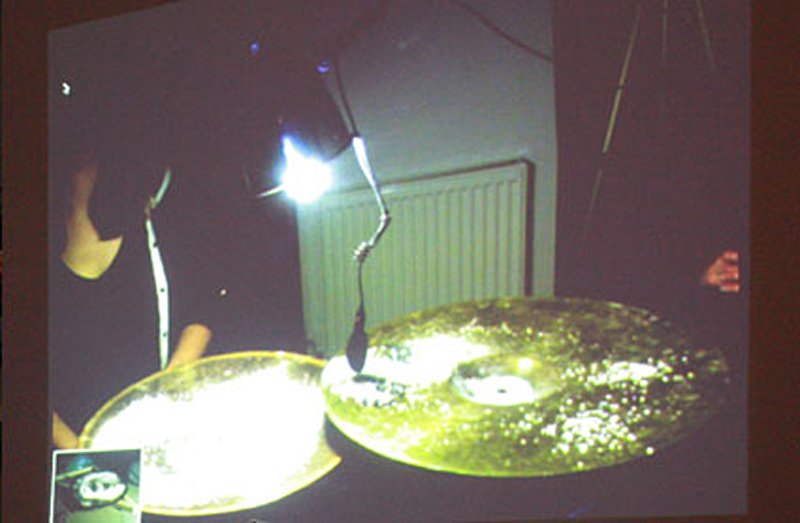 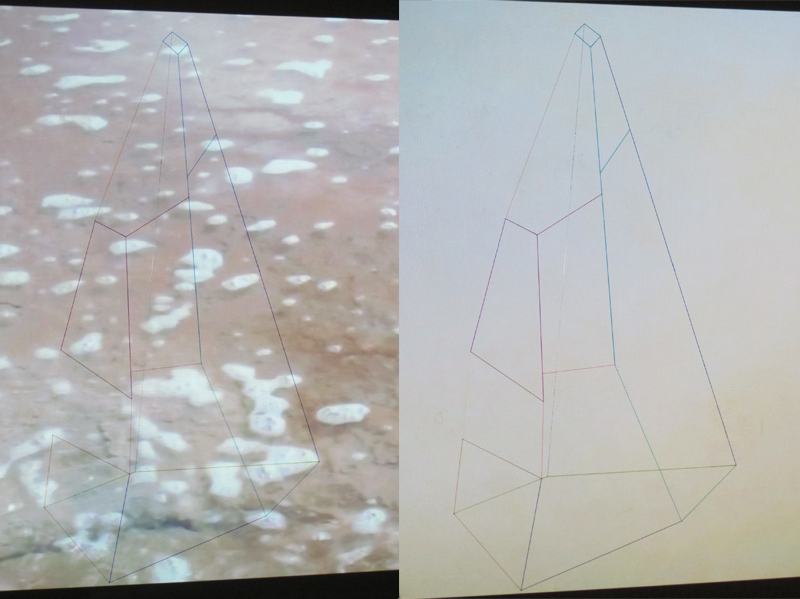 With ‘SALT’ (2011) they performed using Skype between their homes in London and Barcelona to perform a conversation using sound resonances from salt crystals dropping onto cymbals to connect the personal with the geographical distance. 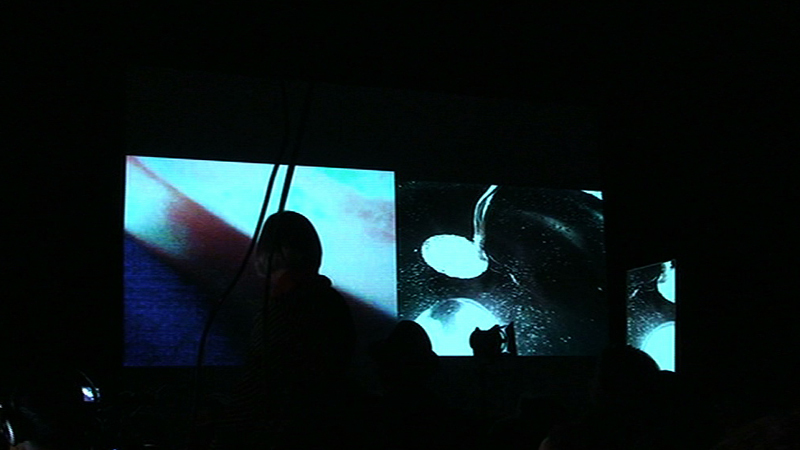 Each artist carries a web camera on them to record in micro each material encoutner that is taking place. 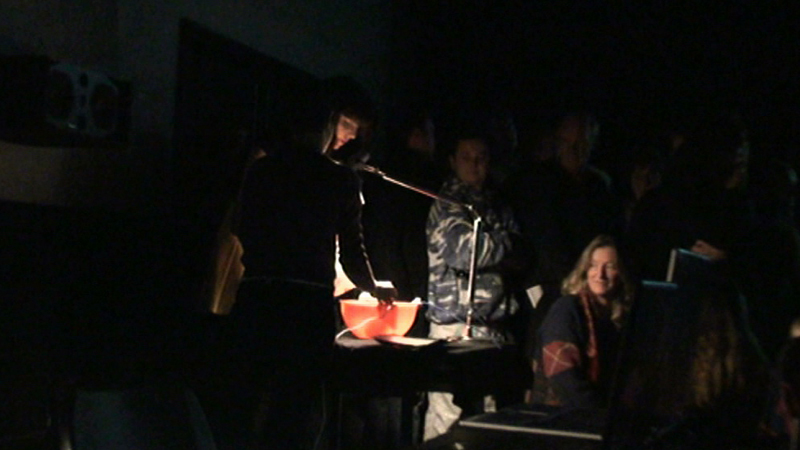 The results of this are projected live into the performance space in the form of two opposing rectangles, these grow larger when the corresponding either Rita or Julia makes a sound, and they gradually shrink again when either Rita or Julia have not make any sound. 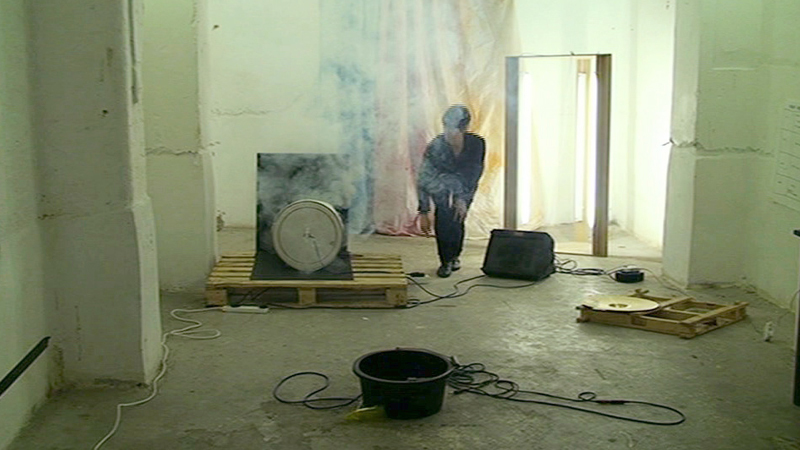 Each material encounter in their performance layout is amplified using microphones close to or inside the materials which include, wax, charcoal, ice, steam, fog, water and salt. 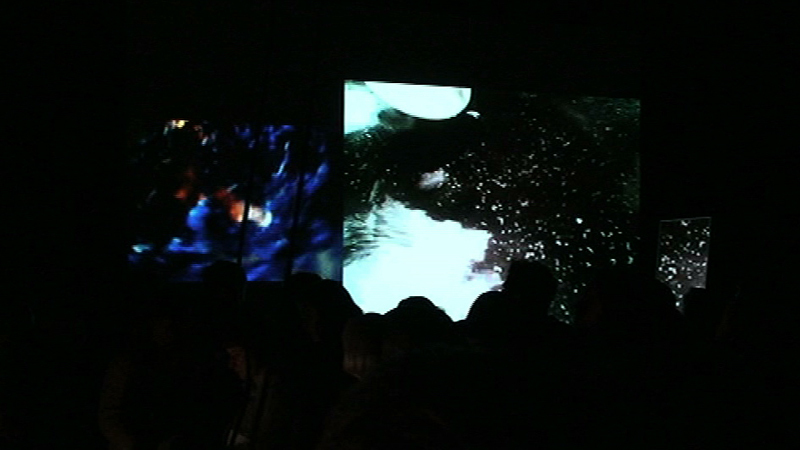 The audience can experience the connection between the micro and the macro by the visuals produced by the artists as well as observing the movements the artists make around their performance space which is set up with the corresponding objects wating for their interaction.